Maersk Supply Service (MSS) became the first Scandinavian shipping company to enter the offshore market in 1969 and was later established as an independent business unit in the A. P. Moller-Maersk Group in 1974. Five years later MSS had developed into the leading owner and operator in the field of large offshore support vessels with the delivery of the first anchor handling tug supply vessel of more than 10,000bhp. 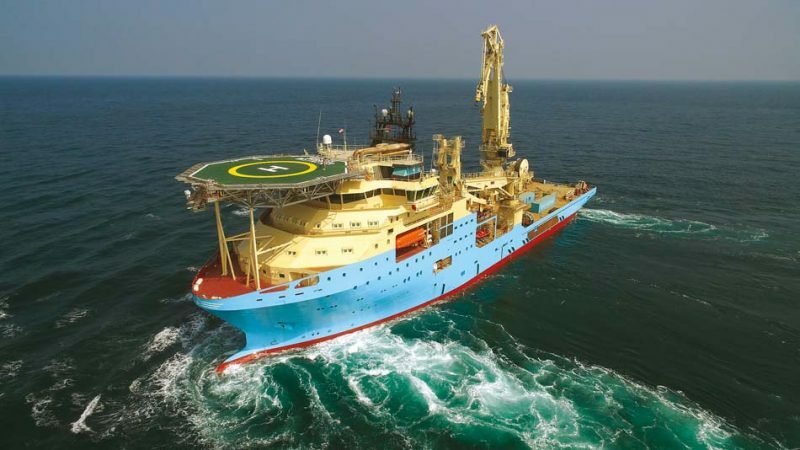 In 1994 MSS diversified into the cable laying market following the conversion of the platform supply vessel Maersk Fighter into a cable vessel. The following year the company exited the anchor handling tug supply vessel market in terms of tonnage with an output of less than 10,000bhp. Two years later the first 20,000bhp anchor handling tug supply vessel (AHTS) was delivered to the fleet. The first four custom built cable vessels were ordered in 1998 and in 2000 the first A-type AHTS of over 23,500bhp arrived in the fleet. Maersk Supply Service A/S was established in 2008 as a separate limited company with its own dedicated HSEQ function with a fleet renewal programme being completed two years later with the delivery of 18 new vessels, representing an investment of more than $1 billion. A further two AHTS were ordered in 2011 with a further 11 new-buildings (six AHTS and five subsea support vessels) ordered in 2014. Anchor Handler Tug Supply Vessels for supply & cargo duties, pipe transportation, stand-by and ﬁreﬁghting. Anchor Handler Tug Supply Vessels for FPSO installation, hook ups, rig moves, towing, supply & cargo duties, subsea installation support, trenching & ploughing. Subsea Support Vessels for support infrastructure, FPSO installation, trenching, cable-laying, dive support, surveying inspection, maintenance & repair, well stimulation and intervention. Until the 2017 deliveries commenced the newest vessel in the MSS fleet was the 10,181gt cable layer Maersk Connector, delivered in 2016 and the subject of a previous newbuild feature. Sign-up today to read the full article! Simply click below to sign-up and read the full article, as well as many others, instantly!